Today, I wanted to go through an Excellent Filler Exercise for the Ankle. Filler Exercises are quick exercises that you can do between sets or your other major exercises in order to help overcome and prevent injury, improve your mobility, and improve the movement of your body. 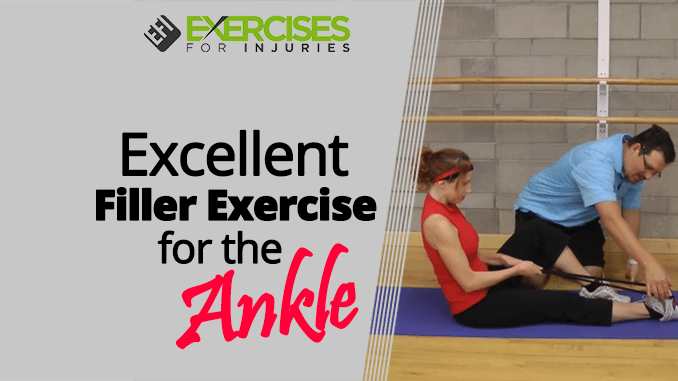 I will go through this exercise that is excellent for the ankle, using a resistive band. Sit down on the floor, with one leg straightened and the other one bent. Grab the resistive band tubing and loop it around just above the arch of your foot. Pull the tubing back, try to bend that ankle and then relax. You might get a light stretch in the calf area, but what we are really trying to do is get that ankle moving. 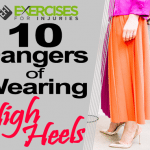 Often, the ankle becomes stiff and tight just based upon on how we sleep and the kind of shoes we are wearing. 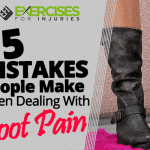 We are not moving the ankle in that four ranges of motion. Do 5 to 10 repetitions. You are not really looking for that stretch in the calf. Rather, look to loosen up that ankle and increase the range of motion in the ankle as you are pulling it back and relaxing. There you go. Give that filler exercise a go. It is something that you can slide in between your sets. This will help you improve your movement, improve your squats, overcome and prevent injuries. Make sure to swing by ExercisesForInjuries.com and enter in your injury and pain. There is a good chance that I have an article, an interview, or a video that will help you overcome your injury or pain. If you are watching this on YouTube, head up above and hit subscribe. 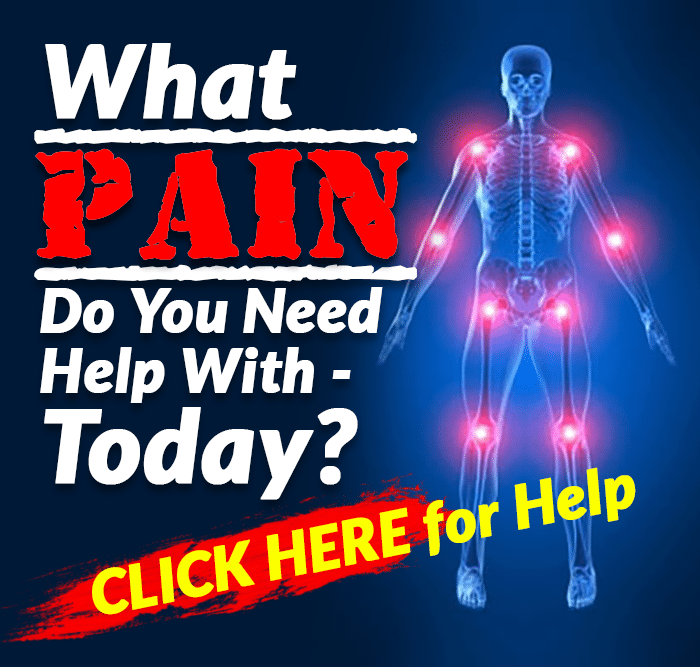 Every couple of days you will receive a video like this where I share a tip or a trick for overcoming injury or pain. Lastly, head down below and leave me a question or a comment. If you are looking for a great resource when it comes to Filler Exercises, then click here to check out the 50 Filler Exercises program.